In this post I will explain how to automate the conversion of email messages in Redmine tickets, via RedmineUP Helpdesk plugin, when Redmine is installed on a Windows server, where cronjobs don’t work. This plugin is being the protagonist in my last works of implementation of Redmine in companies and organizations. It is increasingly used both to provide external support and, above all, to provide internal support, when we do not need our internal customers to be Redmine users as well. With Helpdesk plugin we can give support through Redmine interacting with the customer via email. This way we don’t need to train the users in the use of Redmine to give them support. The plugin allows Redmine to turn emails into tasks. To do this, you have to click on the “Get mail” link in the plugin configuration tab for each project where the Helpdesk module is activated. Obviously this is not operational, as it is a manual task that we should not take care of. We must therefore create a scheduled task that simulates the “receive messages” action. 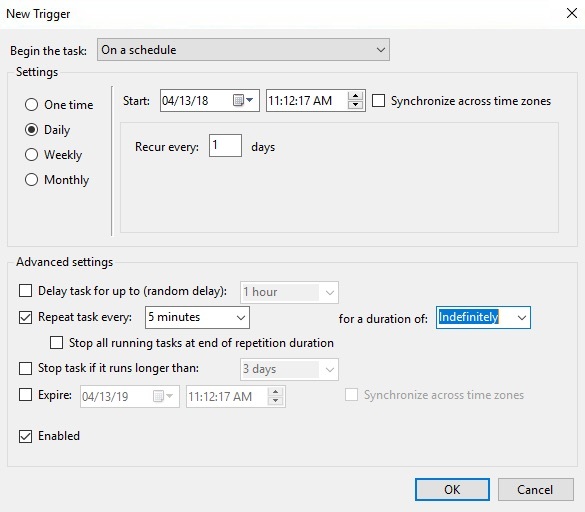 Create a scheduled task in Windows that every x minutes asks the CURL program to check that URL. cURL is a program designed to obtain FTP files and URL pages (cURL=”see” URL). Simply download the file, unzip it and take note of the path where the.exe you are storing the program (look in the /src/ folder of the program). You don’t have to install or run it, just save it on your server. Instead of “127.0.0.1” indicate your Redmine’s URL. You will have to change the asterisks by the API key of your Redmine. You can check this key in Administration > Settings > Incoming emails > Incoming email WS API key. If the key has not yet been generated, select “Enable WS for incoming emails” and click “Generate a key”. Then save the changes. Note: this URL simultaneously checks each and every mailbox you have configured in the different projects with the Helpdesk module enabled. Last we accept all changes made. And so we have created the scheduled task and the plugin is ready to convert the emails into Redmine tasks and Helpdesk tickets. What do you think of this solution? If you liked it, please share it on social networks 😉 Thank you! Ah…. 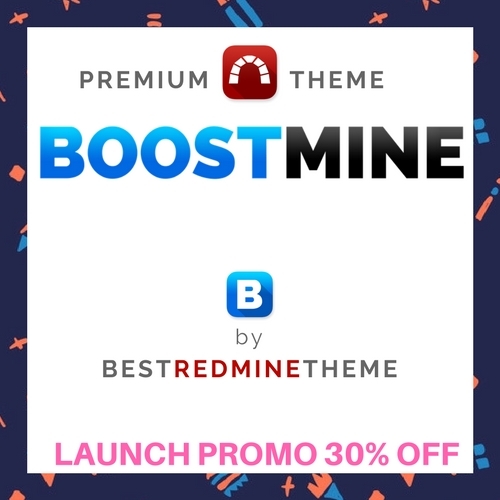 If you like the Redmine theme you see in the first picture, it’s Boostmine!